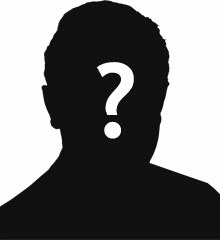 Provisional: Joseph Boyle was the eldest child of Joseph and Annie Boyle. He was born in Cookstown on 13th April 1884. He was one of twelve children, nine surviving. Both Joseph and his father were painters. They lived in Cookstown. Private Joseph Boyle was serving with the 8th Battalion of the Royal Inniskilling Fusiliers when he was killed in action on Wednesday 6th September 1916. 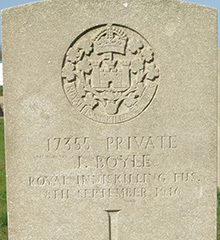 Joseph’s brother, Private Louis Boyle, was killed in action in France just two weeks later on 17th September 1916. Maricourt is a village situated on the D938, Albert-Peronne Road, 10.5 kilometres from Albert. The Cemetery is on the western outskirts of the village. 3 Corporal Joseph Quinn From Dungannon, died the same night.